Japanese knotweed plant is similar in look to bamboo. Even though it isn’t quite bamboo, it certainly is every bit as invasive as bamboo can be. Like bamboo, however, it can be controlled in a similar manner. If you’ve found that knotweed has taken over your yard, we can help. We offer Japanese knotweed removal in Manchester. To learn more about how we handle this process, and how you can get a jumpstart before it becomes a serious issue for you, continue reading below. Japanese knotweed can grow up to 13 feet tall, but have roots that are deep within the ground. Knotweed spreads itself by rhizomes under the dirt. To effectively rid yourself of this plant, you must be persistent. For more homeowners, a hefty dose of a glyphosate based herbicide, like round-up, is required. High concentration of this chemical is required. In fact, a single dose isn’t going to do it. These plants are extremely resistant, and you must use enough herbicide to cause the plant to use up its energy reserves in an effort to grow. Other ways to remove Japanese Knotweed include mowing to chop down the plants height to keep it manageable, and even to dig it out from the ground. Despite how much effort you put into digging up the roots, the rhizomes will remain in the ground. For the best results, use all these methods together. We offer site clearance in Manchester, and are passionate about helping you remove all your Japanese knotweed. 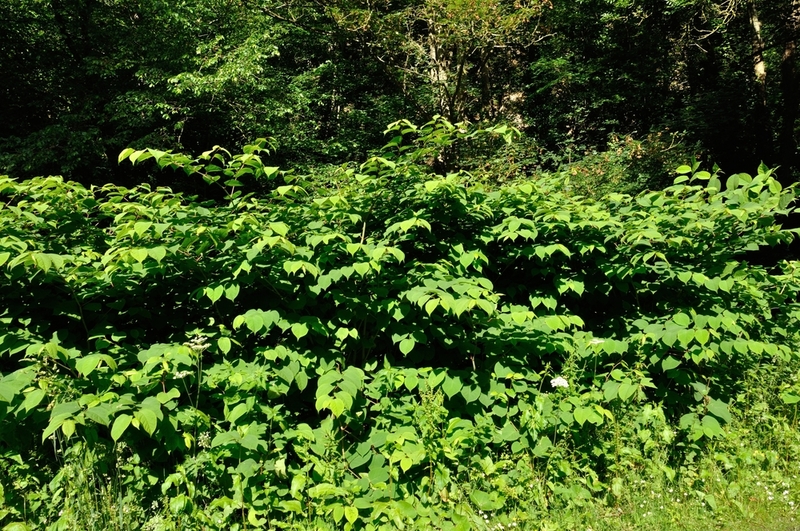 No matter if you have a commercial or residential property, we can provide all the tools necessary to completely remove this invasive plant from your property. We also offer tree pruning in Manchester, so if you find yourself with overgrown trees, we can help there too. We hope to hear from you soon!